This is not a post related to our ministry, it is for those who have asked me to share what I know about natural fertility help and or Iodine supplementation. I have been researching Iodine now for over 5 years and have witnessed it helping or curing many problems in my life and the lives of my personal friends. Even though I've been actively researching it on and off for a long time I have only begun to scratch the surface of what is out there. I am generally someone who is fascinated by nutrition and the way our bodies can heal themselves when given the right nutrients, but of all the things I've tried personally, Iodine stands out as the one that's shown the most results. I think Iodine supplementation (as well as other trace mineral supplements) can GREATLY impact and improve YOUR health. "There is growing evidence that Americans would have better health and a lower incidence of cancer and fibrocystic disease of the breast if they consumed more iodine. A decrease in iodine intake coupled with an increased consumption of competing halogens, fluoride and bromide, has created an epidemic of iodine deficiency in America." -Doctor Donald Miller, Jr. Listed below are just some of the many ways Iodine is being used to improve and or cure/heal health conditions and symptoms. Since I have used Iodine for my hormonal issues, and to carry my pregnancies to term, that is what this post is centered around. * Other cancers, including of the breast, colon, lung, ovaries, pancreas, stomach and thyroid. Iodine deficiency is a world wide epidemic that contributes to countless diseases and their cures. It is not just in poverty stricken countries that we find this, but right at home in the United States and other developed countries as well. The human body is filled with iodine receptors especially in the hormone-producing organs (breast tissue, ovaries, uterus, prostate and thyroid), but it is also necessary for every cell in the body. We are seeing so much deficiency in iodine because it is a mineral once commonly found in our soils, but has now largely been depleted. It can be found now in only certain areas of the world as well as some seafoods, kelps and some dark green veggies. This is true for many minerals, and so the food we eat does not always give us what it once did. Most of us don’t eat a ton of kelp either, so we really have to supplement to get what we need. We are also deficient because there are common toxic ingredients in our environment, cleaning supplies and food (bromine, fluoride, and chlorine derivatives) that fill our iodine receptors and wreak havoc on our bodies. It is pretty safe to say that everyone could use some supplementation with many needing drastically high dosages. Iodine is used by naturopathic doctors to treat Goiter and Polycystic Ovarian Syndrome as well as other hormonal problems. It was originally added to table salt in 1924 to help reduce the incidents of Goiter that were on the rise throughout the US. It did reduce Goiter all around, but because Iodine is essential for our brains, as a "side effect" the average IQ rose 3.5 points after it’s addition. The iodization of salt was hailed as the first public health miracle. Even though refined salt can prevent goiter in the vast majority of people, the minuscule amount of iodine found in it falls far short of the amount necessary for promoting optimal thyroid function. And so, we are still left quite deficient. It is absolutely essential for our brains, and often when we are deficient we feel like we have brain fog. I think this is often why new mothers feel in a brain fog (and also we're tired) because our iodine reserves have been depleted for the well-being of the baby. It is SO important to have during pregnancy for both the health of the mother and baby. Insufficient iodine during pregnancy and infancy may impair babies neurological development and set them on a course for hormonal problems immediately and in the future. It is also helpful for milk production and keeps mom healthy while baby uses her iodine stores. When I remember, I add iodine to my children's drinks, since my older girls are no longer breastfed. There is research that says iodine babies end up being smarter, less hyper active and doing better in school because of how much it does for the brain..etc. "The mother's body is apparently programmed to put all its iodine reserves into nourishing the child and does not keep sufficient reserves for itself"
But anyway, if you are someone struggling with infertility or any of the above mentioned side effects of iodine deficiency, have your doctor test your iodine levels. Even better, try to locate a doctor in your area that might be aware of this epidemic problem who will know how to test your levels correctly. Maybe you don't have the time or money to get tested, there are common symptoms of iodine deficiency and home tests you can do. In my opinion, we should all be taking iodine just for general well-being. It will serve to support and heal your whole body whether you have a big health problem or not. I am not trying to suggest this is a cure all or a miracle worker, but God created this stuff with a purpose in the body and I have seen it used as a means to resolve health problems for many. It is not a substitute for trusting the Lord, sometimes the Lord may be teaching us something through our sickness and we need to rely on Him even when all avenues we try may fail. I thank the Lord for the way He created our bodies intricately and for me, learning all of this has caused me to stand more in awe at our Saviour and His awesome design. Why not just do hormone replacement therapy, progesterone pills or creams? These are very valid options for certain situations, and I would never judge someone for going that route. 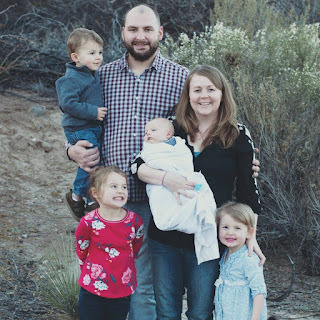 For me, as much as I wanted to have a baby, it was more important to figure out what was wrong with my body, and WHY I was unable to make it past the first few weeks of pregnancy. I believe our bodies are intricately designed and if I am struggling with poor health hormonally, it will eventually affect other areas of my life, body and health. I like to take a holistic approach at healing. When you take a hormone pill it signals to your body that you have what you need. It does not encourage your body to heal itself and in many cases stops your hormone production even more because your body can tell you are getting it from some other source. This makes it difficult to wean off of hormone replacement drugs, and doesn't actually fix the underlying problem. Iodine encourages your body's hormone production, instead of overriding it. There is also not very much known about the long term side effects of using hormone replacement drugs. The hormones in them are the same found in your birth control pills and when the pill originally was created and tested, there were many failures in their trials as well as ignored evidence of very dangerous side effects. It made it onto shelves anyway and now some 60 years later we are realizing some of the effects with the rise in cancers and so many other diseases and sicknesses. So for me, I was very wary of taking artificial hormones. Although I do think that at times, hopefully not long term and depending on the issue, they may be necessary. "When you add synthetic thyroid hormone to the body the thyroid could stop the production of its natural hormones, and as a result, the thyroid gland will shut down its own hormone production. The problem is this treatment does NOTHING to address the cause. Instead, the autoimmune disease continues to progress and leads to more and more health problems." Dosing and the Iodine Protocol: I began taking 3 drops (7.5mg) of iodine daily in a flavored drink (because it has a very mild taste which is easily disguised in juice). That was an extremely low dose, but a good place to start. You can take much much more than that safely. One of the nutritionists I follow was able to cure herself of thyroid cancer by taking 125-150mg a day along with supporting nutrients. Even though 3 drops (7.5 mg) is a low dose it immediately worked for my problem which I will explain later, as well as helped many of my friends resolve some of their problems. "Iodine intake immediately increases the excretion of bromide, fluoride, and some heavy metals including mercury and lead. Bromide and fluoride are not removed by any other chelator or detoxifying technique." The leading iodine doctors recommend taking a few supporting nutrients along with the iodine. It is harder to give an exact amount for the iodine since each person seems to need a different amount depending on age, health issues, weight, and if they are pregnant or nursing. Dosages range from 12.5mgs-300mgs for adults. If you are taking synthetic hormones and want to begin taking iodine as well you may want to find a good endocrinologist that is knowledgeable about iodine and the iodine protocol because it becomes a more exact science as you try to back off the synthetic hormones your body has been accustomed to. I have read of many people having success weaning themselves off the synthetic hormones and regaining their bodies ability to produce their own hormones. I had suspected that I had hormonal problems for years but didn't begin looking into it seriously until I had several early miscarriages. Miscarriages are super common these days and I know they are caused by lots of different things. At the time I did not have enough money to get properly tested and so I jumped into researching on my own. I read two big books and countless articles, as well as information I found online. I had always charted my cycles and so I had a lot of helpful information about how my body works and years of my own cycles printed out which helped me discover what I believe my problems are. I began taking more vitamins and eating healthier foods that would just encourage my overall health, focusing on foods and supplements that would supposedly help my hormone production. I didn't really notice any differences. Eventually, I stumbled on some information on Iodine. From my self-diagnosis, I suspected that I had low progesterone among other things. -PMS and cramping (requiring medication), etc..
After lots of research, I discovered all that I just tried to explain about iodine and began taking those 3 little drops daily. I saw almost immediate results. This is a section I hope to begin updating with testimonies from my personal friends who have experienced benefits from the iodine protocol.. but of course I have to get their permission first and have it written out. Currently I think there are about 10 babies that were born since this article was published as well as friends who have healed hypothyroidism, infertility, migraines, lost weight, having regular periods for the first time in ages, getting off hormone replacement drugs, solving depression problems and postpartum depression... and more! *One of my favorite stories is about my friend who struggles with PCOS and her body does not even release an egg without artificial hormones. She had tried to get pregnant for years (I think 6 years), and finally succeeded with a hormone. The second time she tried to get pregnant the hormone wasn’t even working so I told her about Iodine and she began ovulating right away and got pregnant that first month! Immediate results for her! Two years later she wanted to start taking iodine again to try to handle her PCOS better, not necessarily wanting to get pregnant. But again she immediately got pregnant! "As an interventional radiologist for 30 years, my job was to read the mammograms and perform the procedures, the breast biopsies and needle aspirations. Some women had multiple cysts and nodules and returned to the department every year for repeat aspirations and biopsy procedures. After their procedure, these women would ask me, "Doctor, what can I do to make these cysts and nodules in my breast go away"? And for 30 years I would throw up my hands and say "We just don't know". There is just endless information on Iodine out there and the ways in which it is used and needed in the body. I am constantly learning more and could continue on and on.. but I am attempting to keep this fairly concise and simple. 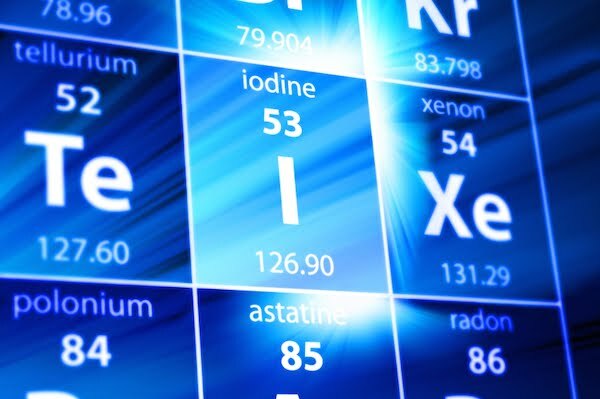 This website is one of my favorite for Iodine information. In this link the doctor talks about how we are deficient in iodine, but he doesn’t really mention how much that can effect our hormones and fertility. It is a good video though. Here the same doctor gives more compelling reasons for why we need iodine supplementation. What I take and it seems to be one of the most recommended. ****There is a Dr. David Brownstein who is one of the leading experts on Iodine and I am planning on reading his book soon. Much of the research I have done points back to his studies, but I haven't gotten my hands on his book yet. But the Amazon reviews on Dr. Brownsteins book about Iodine speak for themselves and show more amazing testimonials for why this stuff is needed by everyone! ***If you begin taking Iodine and experience detox symptoms, you can do something called 'salt loading' to quicken the detox to get through it faster. Some people don't experience detox and only feel immediate benefits from the iodine, other people feel like the iodine doesn't do anything for them at all, good or bad. If this is true for you, it may be because your body is so filled with halides that you cannot even begin to absorb the iodine. Salt loading may help with this as well. I encourage you to stick it out and see how iodine may benefit your health in the long run. Most people who have detox symptoms will only have temporary mild symptoms like headaches, increased acne, increased perspiration, possibly some fatigue and irritability. Those who are extremely toxic may have intense detox symptoms like sluggishness, rash, impaired concentration, abnormal pigmentation, cherry angiomas, hair loss, anxiety, metallic taste, runny nose, dream changes, diarrhea or constipation, twitching eyelids, dry mouth or increased salivation, kidney pain, etc.. These are the extreme cases, and would only be temporary. IF you detox in these manners, I would recommend getting a copy of Dr. Brownstein's book and following his protocol to a T. But again, even though these symptoms may feel extreme, it is actually a good sign of detox. **Note- You should not need to do this for more than 3 days. If your symptoms persist then you need to consider reducing your dose of iodine. Follow the above with a glass of 12oz filtered water. **Repeat every 30-45 minutes as needed until urination begins. Why does this help? Salt (containing chloride) binds to bromide in the blood stream and carries it out through the kidneys. "The best results with using iodine are seen when it is used with unrefined salt as part of a holistic treatment regimen. Unrefined salt helps the body safely detoxify from the toxic halides bromine, chlorine and fluoride that can be released when iodine is taken. "